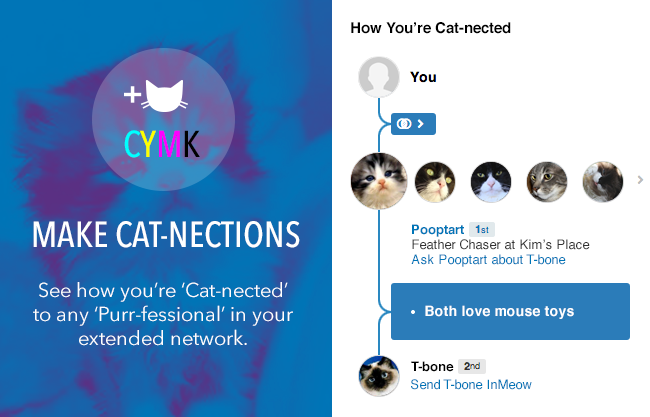 Cats dominate the web, and as one of the largest online social media platforms, we identified a need to connect our members to the feline community, and vice versa, to fulfill a gap in our current product. LinkedIn’s revolutionary new Cats You May Know recommends new potential cat contacts — and allows you to connect with the cats you already know. 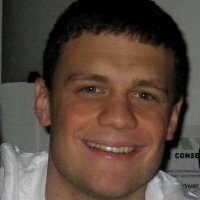 Cats You May Know was designed to give pawed professionals an opportunity to brand themselves, share their unique skills, and network with both humans and other relevant cats in their breed. The purrfectly sleek design features large photos so you can clearly see which cool cat you’re connecting to. You can also easily access every feline’s expertise (from chasing bits of lint on the floor to watching birds), as well as their locations and interests — all with a single click. Focus on quality: When it comes to your pawfessional network, quality matters. Make sure you’re inviting the top dogs, or in this case, top cats. Personalize your invites: Your feline friend will appreciate a personal note. Remind them of your last chance meeting with a hairball it coughed up. Pay it forward: Endorse cats with exceptional skills such as random feet attacks, kitty somersaults, and napping in the sun. 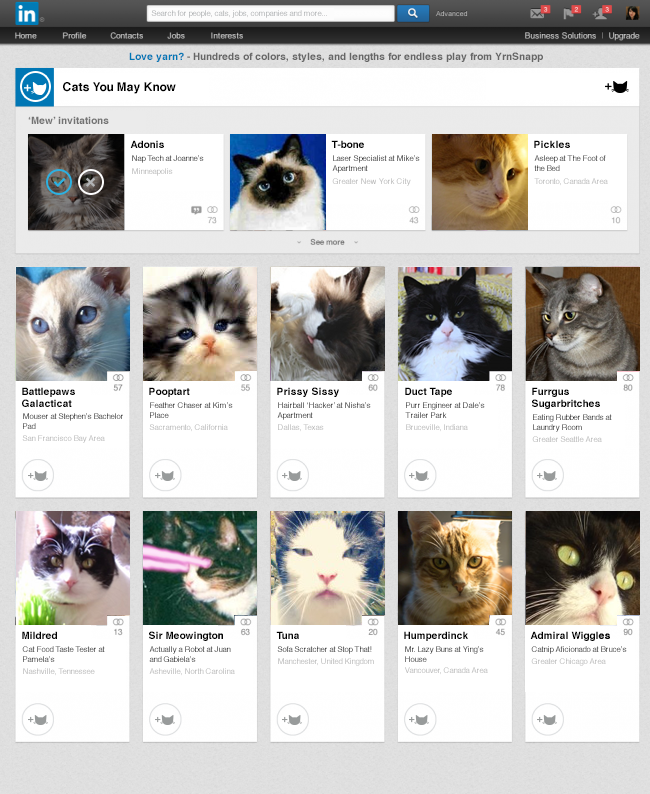 Check out LinkedIn’s new Cats You May Know, now available on desktop and mobile.